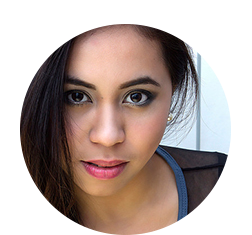 Filipino’s need a valid visa in traveling to Paris, Italy, Spain and in other Schengen Countries. The word visa is derived from the Latin charta visa, meaning “paper which has been seen“. A visa is a government permit for a traveler to enter or leave a country. It gives permission for non-citizens to enter one country or another. It is stamped on a page in the traveler’s passport. Depending on the purpose of your travel to Schengen areas, whether you are planning to go for a short vacation, or a relative visit, study or work, Filipino’s needs to apply for one. Every person is allowed to apply for a Schengen visa as long as they can get all the required documentation in order and have the financial means to maintain themselves during their stay to the Schengen area. The Schengen area has 26 member states – Austria, Belgium, Czech Republic, Denmark, Estonia, Finland, France, Germany, Greece, Hungary, Iceland, Italy, Latvia, Liechtenstein, Lithuania, Luxembourg, Malta, Netherlands, Norway, Poland, Portugal, Slovakia, Slovenia, Spain, Sweden and Switzerland. If you wish to travel to the Schengen Area, you have to apply for a short-term Schengen tourist visa. Depending on the type of your visa, you will be allowed to enter once (single entry) or multiple times (multiple entry), and obtain a stay for no longer than 3 months. The processing time for your Schengen Visa is approximately 10 – 15 working days. Plan your travel itinerary accordingly. Where do you want to go? What is your budget? Your first step in travel planning is to choose a travel destination that meets your interests and the B – budget, budget, budget. Yes, your travel budget. For common Filipino’s, the whole idea of taking this one in a bucket list vacation trip is to have a memorable time, enjoyable and fun without worrying about cash in your entire vacation. Please don’t go into debt for the love of travels. How much time/day do you have? If you’re working in Singapore, most companies give a minimum of 12 days annual leave in a year. Please note that this depends on your company and if you only have 1-2 weeks of vacation time per year, you need to plan how many days you wanted to travel in each country. We started traveling outside Asia when we had an opportunity last 2015. From our first to four years of being an OFW, all of our annual leaves was save to have our vacation only in the Philippines. If time constraints, check if your company will allow you to take unpaid leave if you wanted to stay longer. When to go? Do you want to experience winter, summer, spring or fall? The weather and crowds play an important role when you plan your trip. Research first, the year is divided into three seasons: peak season (roughly mid-June through August), shoulder season (April through mid-June and September through October), and off-season (November through March). Each has its pros and cons. In which country you need to apply for visa. Saan ako kukuha ng visa? One of the most common questions asked is where to submit the visa application. You must submit your application for a Schengen visa at the Consulate of the country that you intend to visit, or – if you intend to visit more than one Schengen State, the Consulate of the country of your primary destination (i.e. main purpose of stay or longest stay). If you intend to visit several Schengen States and the stays will be of equal length, you must apply at the Consulate of the country you will cross first when entering the Schengen area. Scenario 1 – You wanted to travel to Europe and see France and Spain; your itinerary plan was 3 days in Paris and five days in Barcelona. You need to apply in the Embassy of the country in which you will stay the longest (counting by night spent). In this case, you need to go to Spain Embassy. Scenario 2 – You wanted to visit four days in Paris and four days in Barcelona. You need to apply in the first country of entry since the number of stays is the same. Gather all documents required and make photocopies. Always check the main website and the requirements they need. Each country may have the same but different conditions. 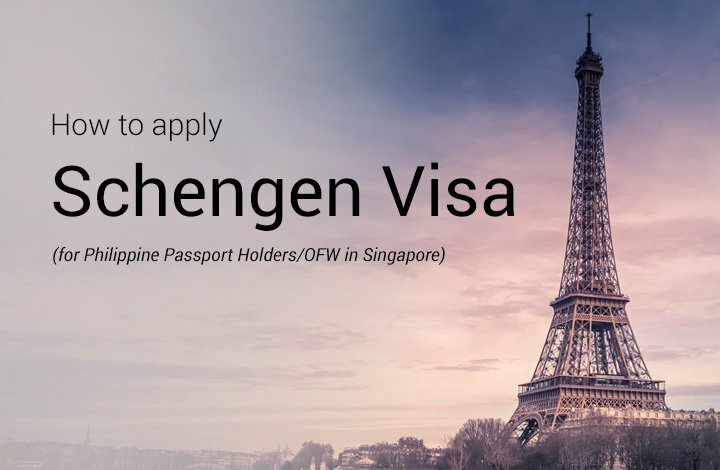 For example, Schengen visa requirements for Denmark (in Singapore) indicates evidence of funds of $1,400 per week per person (or around Php 50,000 pesos) while applying for a visa. While in France and Spain they didn’t mention how much you need but of course, a bank statement showing your name and account number is a must. For standard applications, you need to download Schengen visa application form online, duly filled (in capitals) and signed. The application form has the same format no matter which country’s visa it is that the applicant wants to apply for. However, the required documents are different in each state – please verify with the relevant consular authority. Listed below are documents needed in France Embassy, especially for OFW’s resides in Singapore applying for a short stay tourist visa. The passport should be issued less than 10 years ago and valid for at least 3 months after the departure from Schengen states. It should contain at least 2 blank visa pages. 6 Proof of accommodation confirmed hotel reservation for the whole length of your stay in all Schengen countries. Address and dates should be stated. 7 Proof of sufficient funds for duration of stay. Last 2 months bank statement (current account AND, if applicable, savings account) showing the balance, the transactions, your name and account number. E-statements are accepted. Proof of employment e.g. letter from company stating monthly wages, continuing employment after period of leave and duration of vacation etc. 8 Travel Insurance stating that the applicant is covered by a Schengen Travel Medical Insurance, i.e. minimum medical coverage equivalent of Euro 30,000. A letter from your employer in Singapore stating: that you are going to France on their behalf and the purpose of your visit, the name address and contact number of the company to be visited, that your employer takes full responsibility for all your expenses incurred while in France, that they guarantee your return to Singapore. A parental authorization form if not travelling with both parents, original and copy of birth certificate, photocopy of passports of both parents. For Insurance (in our Europe 2017), we purchased Travellershield Classic (Single Return Trip) from MSIG. It cost SGD$70.75 each. On our first travel, we bought Travel Guard policy from AIG Insurance. Please note: Document or photocopy missing = incomplete file = high risk of visa refusal. Fees (not refundable): Exchange value of 60 euros (between $90 to $110 SGD according to the exchange rate – as of writing). The application form can be filled in either by handwriting, encoding (if it’s fillable form) or by using Adobe Acrobat to edit (if you have). Careful not to input false information. If the applicant feels that there are columns that don’t correspond to his/her matter, fill them with NA (No Answer). If you have missed your appointment on the scheduled day, the system will not allow you to reschedule or cancel and you will require booking a new appointment. Please make sure you arrive at the visa application center 10-15 minutes prior to your appointment time. As part of the visa application procedure, you will need to provide biometric data which includes electronic fingerprint data. Do I have to hand the requirements personally at the embassy/consulate? Yes. When applying for the visa you should bear in mind that you have to personally hand the required documents once you’ve made an appointment at the embassy/consulate. What is the difference between a single-entry and a multiple-entry Schengen visa? What is length of stay? The (standard) maximum allowable stay in Schengen countries is 90 days for all member countries within any six-month period. How much does a Schengen visa cost? There is a non-refundable administration fee when applying for a visa. Visa costs have been synchronized in Schengen countries. How much money do I have to own in order to get the Schengen visa? Only enough to cover the expenses made during the trip as in, accommodation and everyday costs for the days being. We estimate €50 euros per day. How much time does it take to get a response when applying for a Schengen visa? Although it takes no more than 24-48 hours for processing a visa in general, there are times when this process takes quite much longer, from 14 up to 21 days in some countries concerning some citizens. Can I travel to more than one Schengen country with the same Schengen visa? Yes, once you are issued the visa you can travel within the Schengen area as long as you don’t exceed the timeframe granted your visa. Do I buy the plane ticket before or after they issue the visa?